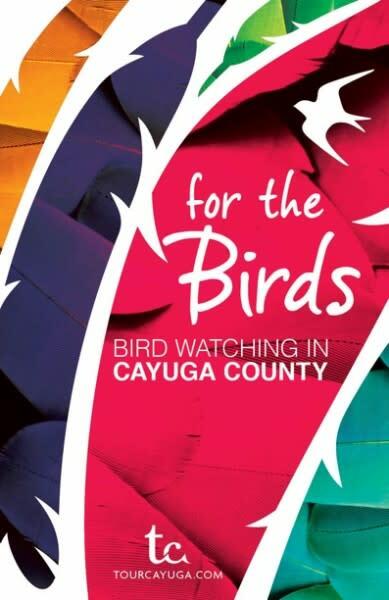 October 8, 2013, Cayuga County, NY – The Cayuga County Office of Tourism will unveil their new ‘For the Birds’ guide to bird watching in Cayuga County with evening showings of the “The Big Year,” at Auburn Public Theater on October 18th and 19th at 8 p.m. each night. “The Big Year” is the story of three fanatical bird-watchers (Steve Martin, Owen Wilson, Jack Black) and how they spend an entire year competing to spot the highest number of species as El Nino sends an extraordinary variety of rare breeds flying up into the U.S. The first twenty-five attendees each night will receive FREE “For the Birds” hats compliments of the Tourism Office and all attendees will be given coupons from Cedar Craft Wild Bird Center and the new brochure. On Saturday evening local bird enthusiast, Jon Robson will say a few words about how birding can enrich one’s life experience. Note: There is also a 1 p.m. showing on Saturday, but without the giveaways. Auburn Public Theater is located at 108 Genesee Street, Auburn and tickets are $5/online (auburnpublictheater.org) and $6/at the door.